Group Discussion Ideas > Political GD Topics > Should Capital punishment be banned? 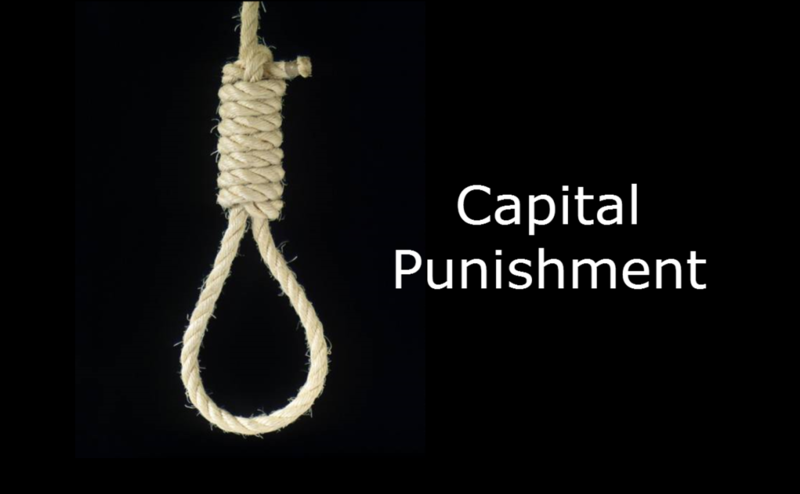 Capital punishment or death penalty is being imposed by state as a punishment for the criminals of heinous offences. Use of death penalty was dropped in 140 countries. 7 countries retained it for the crimes committed in exceptional circumstances. 21 countries including India, are still using death penalty as a punishment. The United Nations General Assembly adopted a resolution – ‘UN moratorium on the death penalty‘ in 2007. India voted against it. Capital punishment for criminals can act as a deterrent. If the criminals are allowed in the society again, the security of citizens will be at stake. Saudi Arabia has a very low rate of crimes because it imposes death penalty and severe punishments. Values and morals must be protected by imposing maximum punishment for the criminals. The criminals, who are incapable of being reformed don’t deserve to live. Basically there are four purposes of punishment – Reformation, Revenge, Protection, Deterrence. Reformation :- If the death penalty is imposed, there will be no chance of reformation. Revenge :- Revenge can be taken by other alternatives of punishment not just only by death penalty. In fact death penalty will not let the criminal know the pain. Life imprisonment may fulfill this one. Protection :- Society must be protected from criminals. Life imprisonment also fulfills this purpose. Deterrence :- Statistics revealed that capital punishment could not decrease the no. of crimes. Capital punishment is irreversible. If the person is proved as innocent after the death penalty, there will be nothing left to be done. It happened in a significant no. of cases. Sparing the guilty person is better than taking the life of an innocent person. Taking immediate action on the criminals and imposing severe punishments can act as deterrent, but not death penalty. Capital punishment interprets society as violent cultured, blood thirsty and revengeful. Justice will not be achieved by death penalty. Instead it will be achieved by reforming the person and giving sufficient punishment. Most of the people are not aware that life imprisonment is for the lifetime and not just for 14 years. Perhaps that is why many people are demanding for death penalty for the criminals. The criminals with no money are more likely to get the capital punishment. We still don’t know how many of them were actually committed crime and how many were trapped in it because of the poverty and the loopholes in the judiciary. If the person is on death row, a lot of appeals and petitions need to be appealed and in Indian judicial system, it requires a lot of money. Thereby those, who can’t afford it have to face the death penalty. – Again inequality and discrimination. And it’ll also create a lot of pain for the criminal’s family. Indian Judiciary is not free from corruption, political power, money and muscle power. So, without eliminating these things or at least without reducing the impact of these things, death penalty for the individual crimes can’t be an appropriate punishment. Deciding the severity of punishment lies in the hands of the judges. There are no certain rules for deciding which cases are rarest of rare. This is a threat to democracy too. As far as this phenomenon continues, death penalty for individual crimes may not be the correct option. The expenditure of Govt on the criminals, who are on death row is more than on the criminals, who are in life imprisonment. There are a lot of ethical dilemmas involved in capital punishment. In most of the cases, death penalty can be avoided. Life imprisonment is the best alternative for the capital punishment. By imposing life imprisonment, we can reform the person. Even if he is not reformed, life imprisonment can act as a severe punishment and also as a deterrent. However the criminals, who do heinous crimes and are incapable of being reformed must be given death penalty, because they don’t deserve to live, not even in prison. I too feel that capital punishment should be abolished as no one in this world had the power to take life as we cannot Grant it. The crimes we see in our society are somewhere the results of our own greed, corruption and selfishness.We live in a divided world where race for arms is at a pace and although we are human beings, we have forgot the meaning of BEING HUMAN. In my opinion capital punishment is a very barabaric way to deal with a murderer. We should not follow the legacy of eye for eye and tooth for tooth if we take eye for eye then the whole world will be blind as quoted of Gandhi ji.